Necessità di base come dentifricio, sapone e shampoo per iniziare. Una doccia esterna si trova all'esterno mentre entri negli appartamenti, per eliminare la sabbia prima di entrare. Wonderful location and a few steps from the beach. Apartment has everything you need and Rosa was excellent and always ready to help out with anything. We really enjoyed staying at this property. It is exactly as described, just steps from a very nice beach. The cross street and one street over are very interesting with lots of restaurants and shops. There is a grocery store about 15 minutes walk away. The apartment has a refrigerator, range, microwave, blender and just about any kitchen utensils one would need. There were two beach chairs and an umbrella for our use as well as the biggest fluffiest beach towels I have ever seen! In fact the bath towels were unusually soft and absorbent. The bed was huge and very comfortable. We loved sitting out in the evenings on the shared deck enjoying the ocean breezes. This apartment is a great pied a tierre for exploring San Juan. We stayed five nights and were delighted with the place and the people. The property is exactly as discribed in the pictures. We arrived early so our apartment wasn’t ready as check in time wasn’t till 4 pm. We decided to take advantage and head to the market to pick up some groceries. Carlos was wonderful and offered to drive us. He gave us some information on the local area. 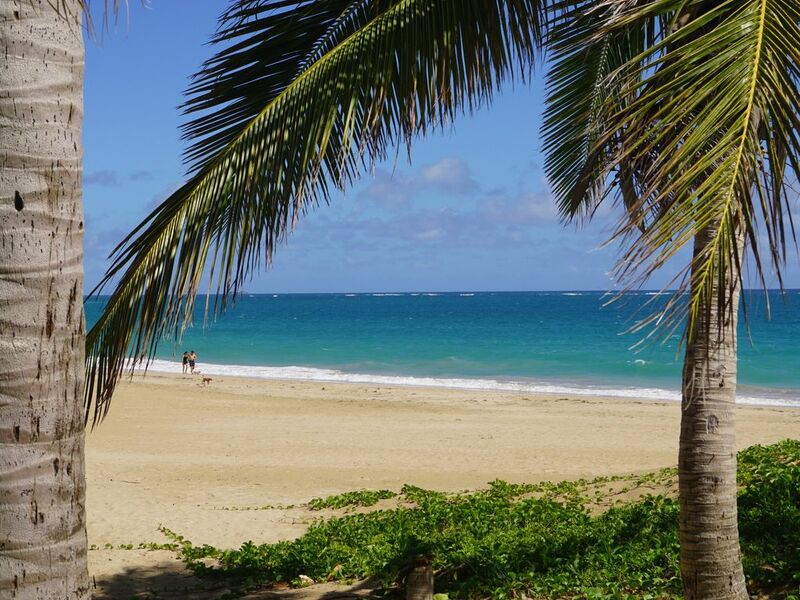 The apartment is located in Ocean Park which is in between Isla Verte and Old San Juan. A short drive gets you to most of the tourist actractions. We used Uber for all transportation. It is very easy to get an Uber, the driver usually arrives within 1-5 mins following a request. Most of the drivers speak very good English. The beach is literally just steps from the apartment. We’ve stayed at resorts where we had to walk much further to get to the beach. We spent many evenings sitting out on the covered patio enjoying the warm weather and were very surprised there were no mosquitoes or other insects. Our experience here was very positive and I would recommend it to others. This was a great place to stay and I would definitely come back. Clean, very accommodating host. Great location ! We had a wonderful time and slept amazing! Rosa and her husband made sure we had everything we needed. The place was clean and we felt safe and secure. Thank you so much for a wonderful place.